Ca. 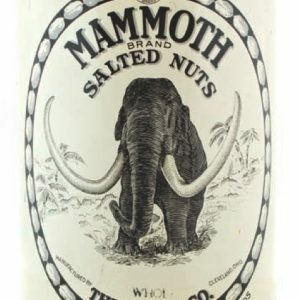 1920’s tin litho 12 oz. 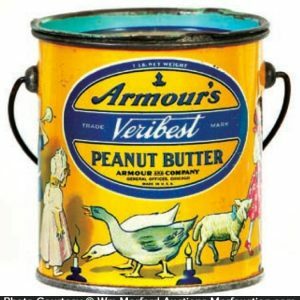 size peanut butter pail for Armour’s VeriBest brand featuring wonderful multi-color graphic nursery rhyme images all around tin. SKU: D8-106. Categories: Antique Tins, Peanut Butter. 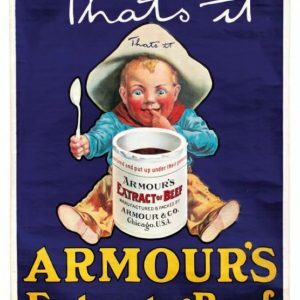 Company/Brand: Armour & Co., Armour's Veri-best Peanut Butter. 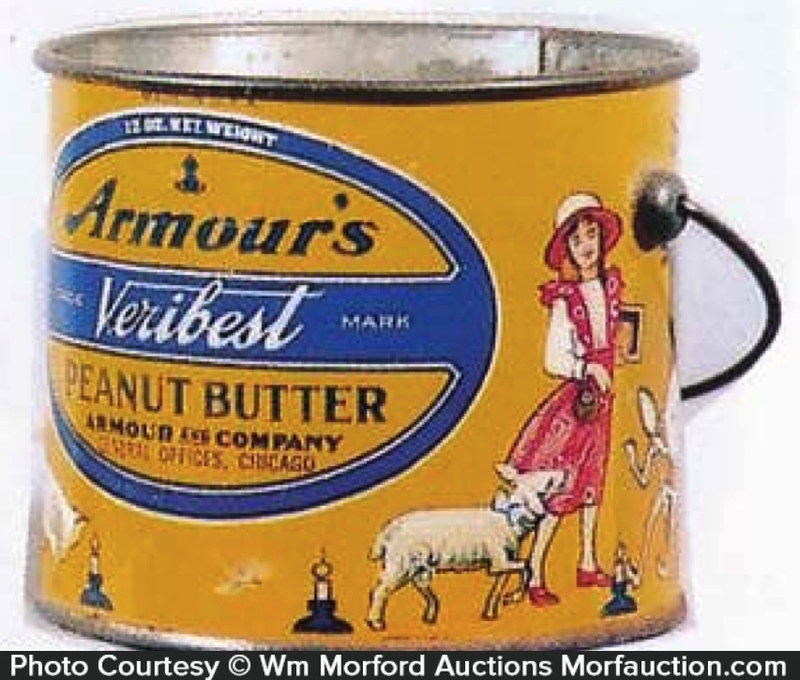 Armour’s Peanut Butter Pail: Ca. 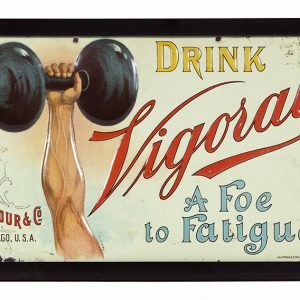 1920’s tin litho 12 oz. 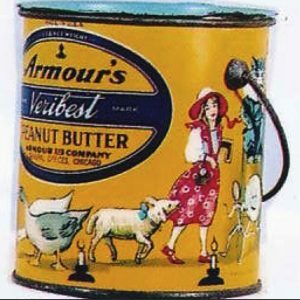 size peanut butter pail for Armour’s VeriBest brand featuring wonderful multi-color graphic nursery rhyme images all around tin. 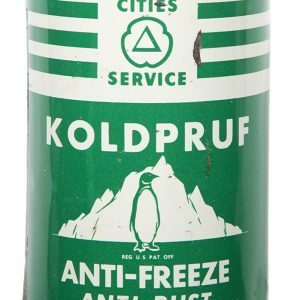 Clean and excellent overall (C. 8+/-) w/ a few scattered background wear spots (no lid).